Vin et fromage. Vino y queso. Vino e formaggio. No matter what language you’re speaking, everyone knows that cheese and wine is the ultimate combo. These Melbourne haunts have everyone’s favourite double act on their playbill, so buy the ticket, take the ride. 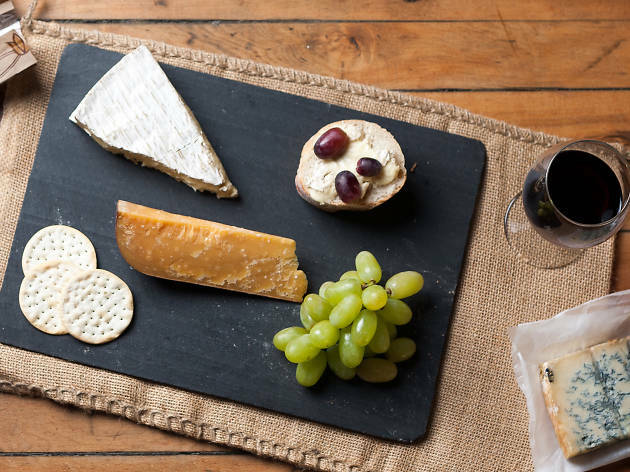 If you're a fan of fromage, then you might want to pay a visit to Melbourne's best pizza joints, or try your luck on the cheese boards at the best wine bars in town. 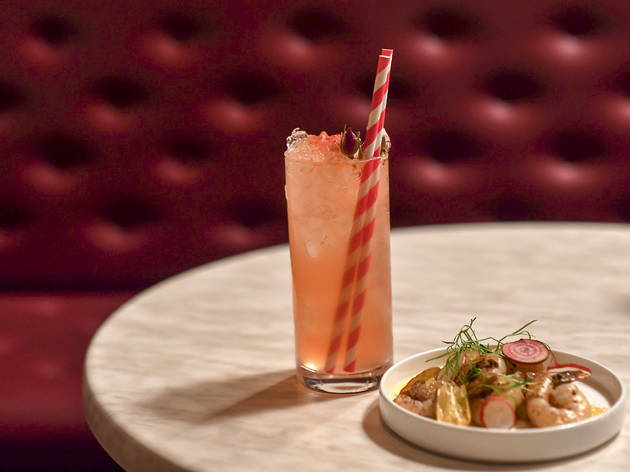 Championing local heroes of wine, beer and cheese, Underwood Wine Bar’s offering is all-Australian. Look to the chalkboard to see what’s on rotation (pssst…. Lady & the Hawk mourvèdre rosé is a winner). Our money is also on the cheese toasties here, with the triple cheese, creamed corn, Dijon mustard and thyme combo being a standout. 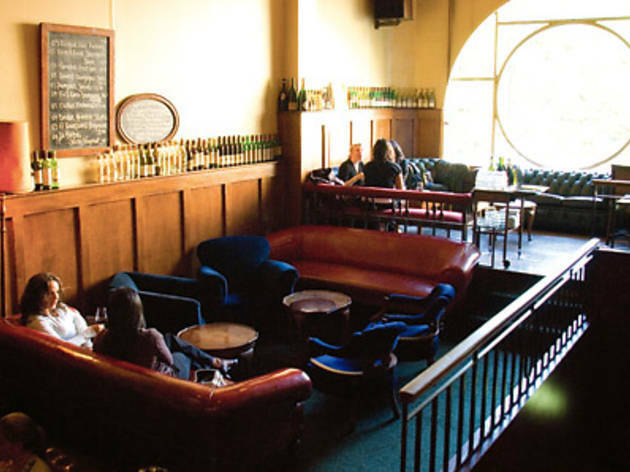 On Tuesdays and Wednesdays you can even pick up a toastie and a glass of wine for $15. 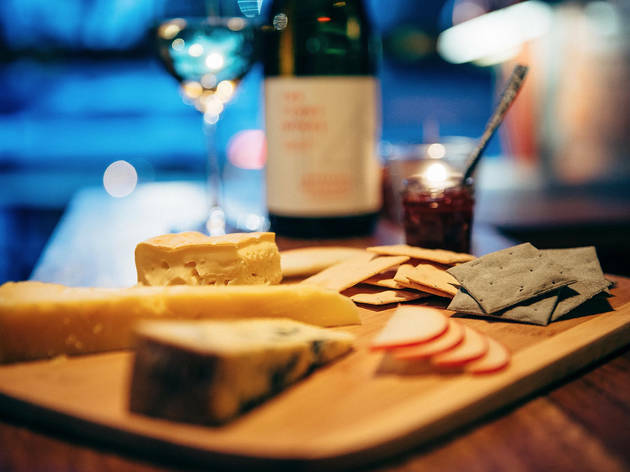 Whether you’re looking for a pre-theatre snack, sneaky nightcap or hoping to score a coveted spot on a Chesterfield, Melbourne’s favourite late-night haunt delivers wine and cheese options for every occasion. The croque monsieur – shaved ham, Dijon mustard and cheesy béchamel – is a real hangover slayer while the rotating cheese selection comes straight from Spring Street Grocer’s underground maturation caves next door. 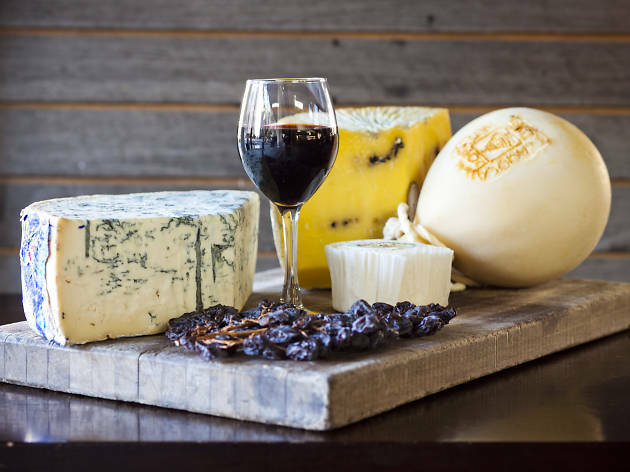 Pair your cheese with a local drop like a glass of Brokenwood pinot noir, and you’ll do the local economy proud. With locations in St Kilda and Carlton, Milk the Cow’s over-the-top, calcium-boosting menu has been responsible for many a cheese dream. But what else would you expect from a licensed fromagerie home to more than 150 types of cheese? 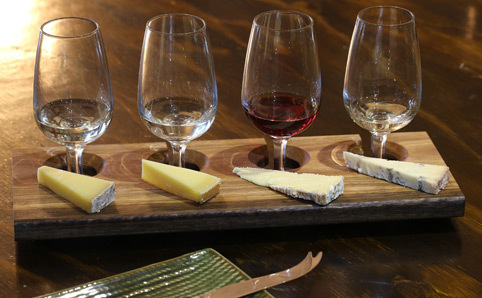 Cheese and wine flights are a popular pick, with a classic pairing of 90ml wine with 30g cheese going for $33. Patrons can also pretend it’s 1967 by ordering fondue pots filled with bubbling gruyère, try baked Yarra Valley Yering brie covered in French cider, truffle honey and figs, and sample Higgs & Co gelato infused with cheese. Oh, and there’s also cocktails garnished with cheese. 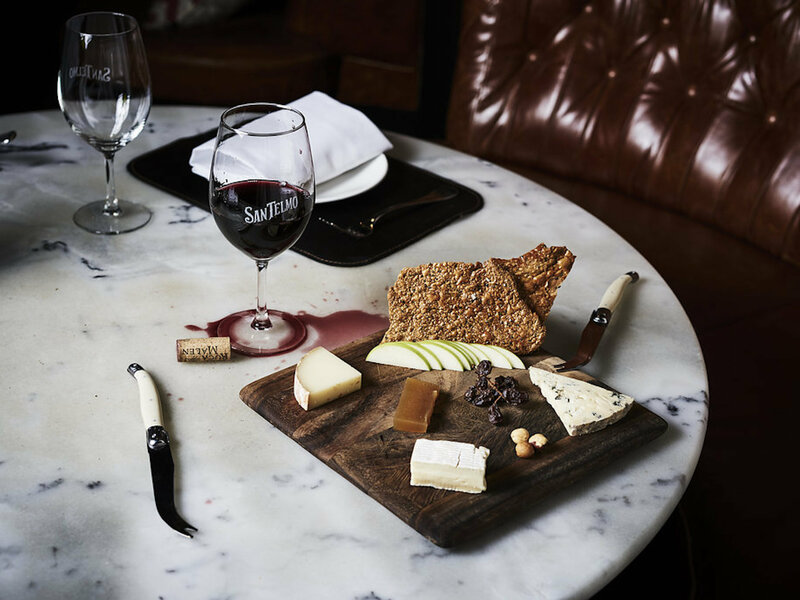 Featuring 1,000-day-old Dutch gouda, English cave-aged cheddar and French Brillat-Savarin, the cheeseboards at 1806 are every bit as impressive as their next-level cocktail list. The wine list reveals a bottle of Heathcote Estate Shiraz as a good wingman to the cheeseboard experience. 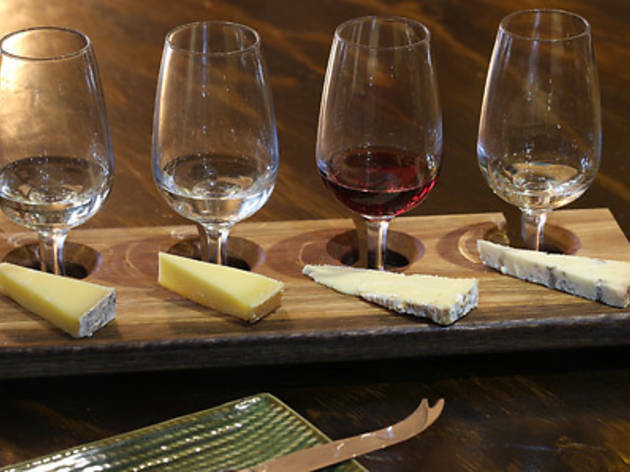 Baked garlic and rosemary camembert and chargrilled halloumi also feature on the bar menu while whisky and cheese flights match the handiwork of master distillers to cheeses from around the world. Chesterfield sofas and red velvet drapes set the scene for a cheese-and-booze blow-out. South Melbourne’s Euro-style wine emporium may lead the way when it comes to vino but the team at Bellota Wine Bar know a thing or two about cheese also. 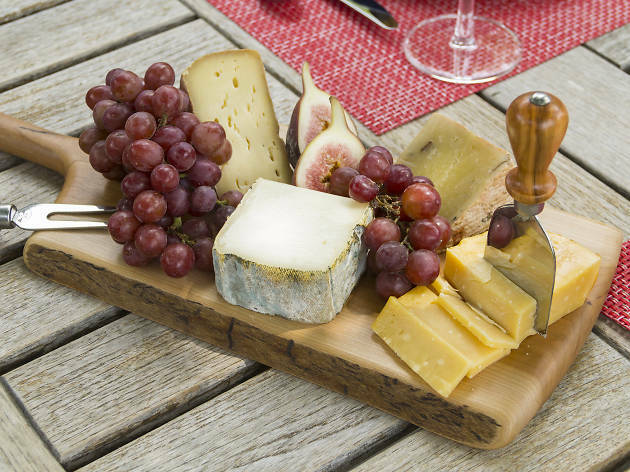 Here, French, Italian and Australian cheeses can be ordered individually or as a part of a cheeseboard. Chèvre fans will love the Sevre and Belle Caprifeuille from western France. 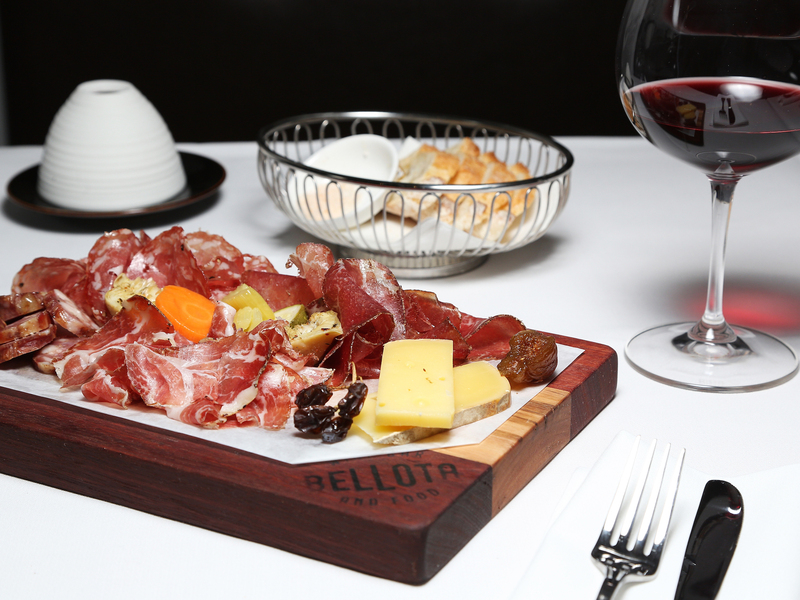 While the wine list is an impressive round-the-world trip featuring the greats of France, Portugal, Italy, Greece, South Africa and beyond, you can also head through the glass doors to the Prince Wine Store next door – any wine here can be consumed at Bellota. 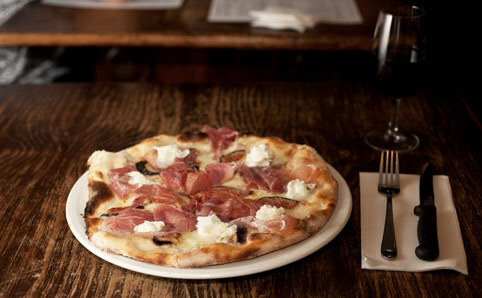 While hard cheeses typically dominate cheese platters, at DOC it’s all about mozzarella. 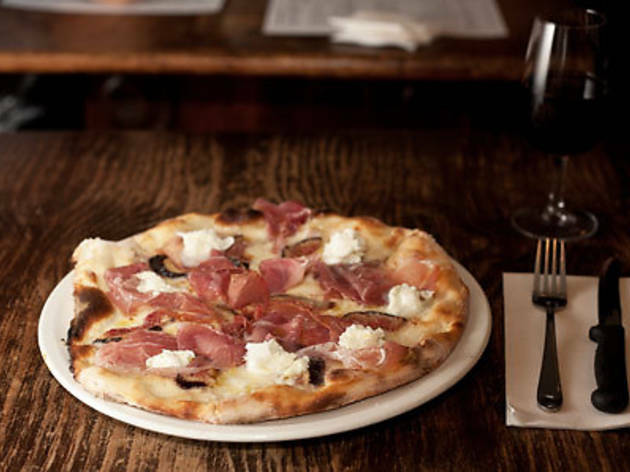 At this Carlton eatery dedicated to all things cheese, wine and pizza, patrons can revel in a mozzarella degustation experience designed to be shared with friends that features Australian fior di latte, Italian buffalo mozzarella and Australian scamorza (smoked fior di latte). Simply grab a bargain bottle of house sangiovese merlot from the Mornington Peninsula and watch the mellow mozzarella flavours come to life. 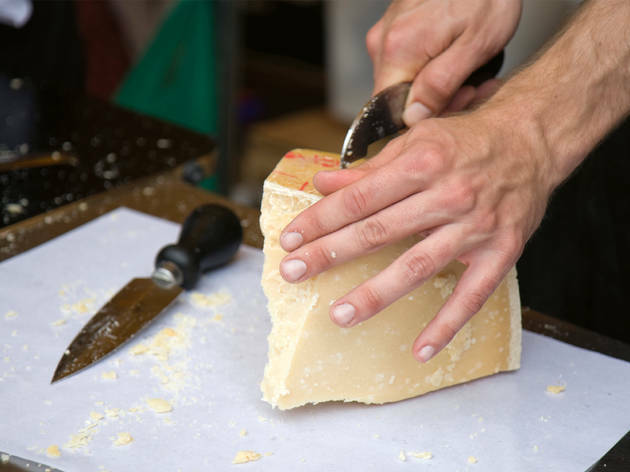 South Wharf’s Bohemian Bar and Restaurant has a trifecta of Spanish cheeses to choose from including a La Mancha manchego aged for 16 months. Chase it down with a jug of traditional sangria and you’ve got a party. Go on a Sunday afternoon and you’ll even get some live jazz thrown in the mix. Ole! 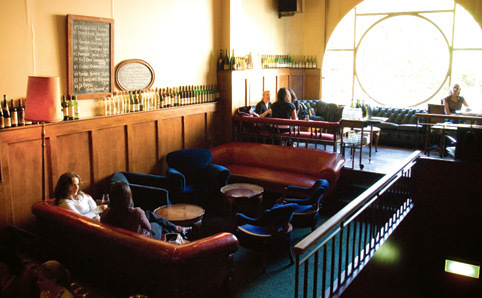 Melbourne’s top Argentinian bar and restaurant has some serious cheese and wine credentials. Things get hot and heavy early on in the menu with a fried provolone dish demanding to be ordered. Other options include a cheese platter all served with muscatels and quince paste. The all-Argentine wine list includes malbec from Mendoza and cool-climate pinot noir from down Patagonia way. 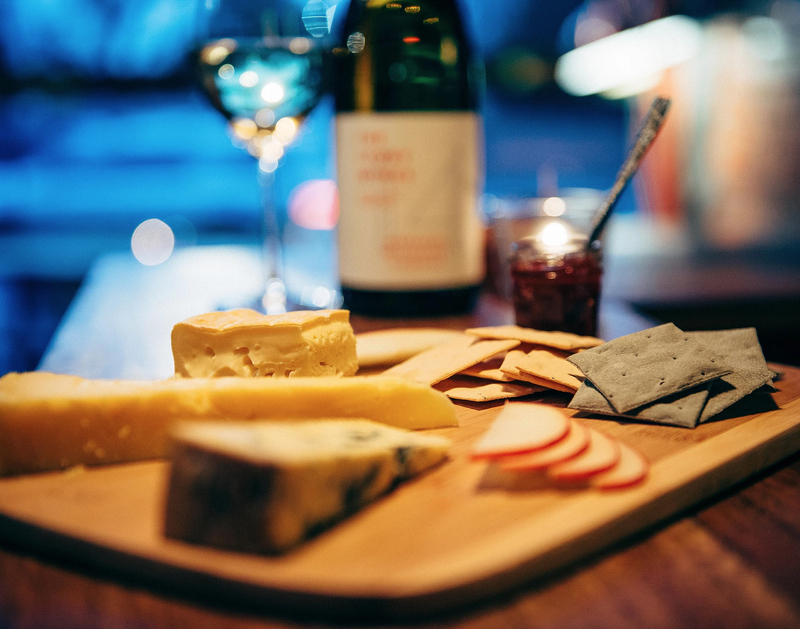 Suburban gastropub dining rooms can do the wine and cheese thing just as well as city wine bars and Footscray’s Station Hotel is up there when it comes to wine and cheese pairings. Look beyond the impressive number of premium steaks on the menu and you’ll find a well-rounded cheese offering perfect for dessert or as a pre-dinner snack. 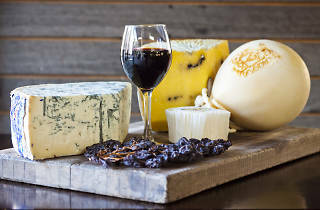 For $12 diners can choose from washed rind, goat, blue, cheddar or brie, served with walnut bread, muscatels and apple. It's hard not to love cheese. Check out our favourite places to pick up a wedge or a wheel so you can eat as much of the creamy stuff as you want in the comfort of your own home.